A lot of Institutes use manual jumbling to create different sets of Question papers to prevent cheating during test/ exams. Multiple Answer Keys are fed for checking the Answer sheets in such a case. 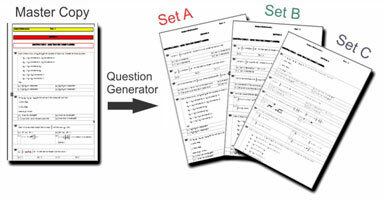 The QwizPad OMR uses a Unique Anti-Cheat Question Generation Technique, which can be used to Auto generate multiple sets of Question Paper and synchronize the mapping logic while evaluating the OMR Answer Sheets. 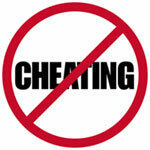 It can create unlimited sets of the question paper to stop the candidates from cheating during the test. Only one Answer Key has to be fed for checking multiple sets of question Papers. The corresponding Answer Keys for all sets are generated by the software itself. The Master Question paper can be made easily in MS-Word. Unlimited no. of sets of Question Papers are created using OMR Anti-Cheat Question Paper Generator by jumbling questions using different arrangements. The Jumbling pattern is changed every time, making it impossible to decode it. Any no. 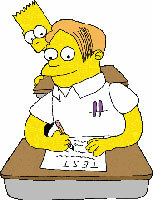 of sets of Question Papers can be generated by jumbling questions using different arrangements. The Jumbling pattern is changed every time, making it impossible to decode. The Software supports jumbling of all kinds of Question Papers e.g IIT pattern, AIEEE pattern or PMT Type etc. Question paper with separate sections for different types of questions e.g Matrix Match type, Integer type, MCQ type, Comprehension type can be jumbled in appropriate manner maintaining the decorum of the Question paper. The Questions and Options both can be jumbled selectively as per the user’s instructions, giving complete flexibility in creating different Question Paper sets. If desired, the location of a particular Questions can be fixed in all the sets. While checking the OMR Sheets, Any changes made in the Master Answers key for checking & Revaluation are automatically implemented in all the Question Paper sets by the software as the Anti Cheat Generator is fully integrated with Qwizpad OMR Software . The Software is able to identify the appropriate Booklet code for the Answer Booklets of the candidates who have left the Booklet Code blank.